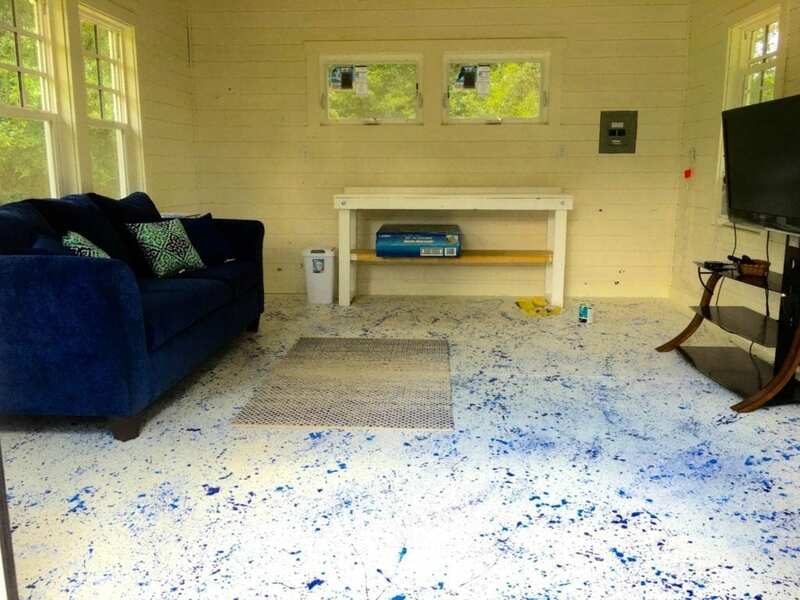 Every time we are approached by an artist in need of a studio, we end up with a unique shed design that is worthy of showing off. 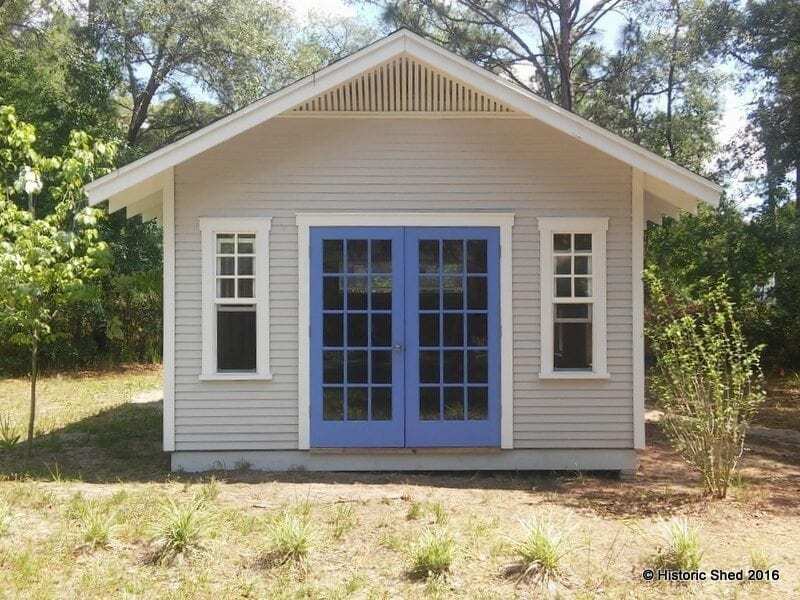 In this case, a local artist in Citrus County requested a fairly large 14’x16′ shed with lots of windows. The design has great balance, is filled with light and looks lovely with a great set of accent French doors. 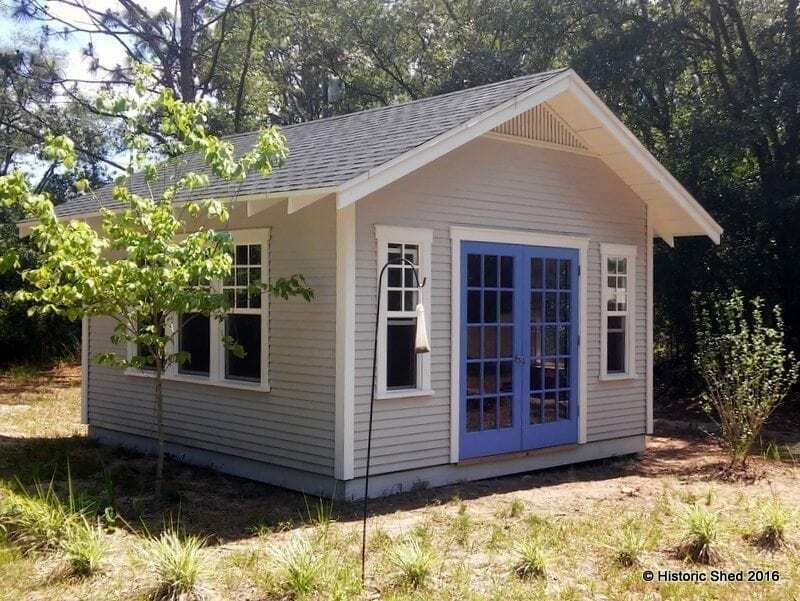 It will serve as a great “She Shed” for the owner. 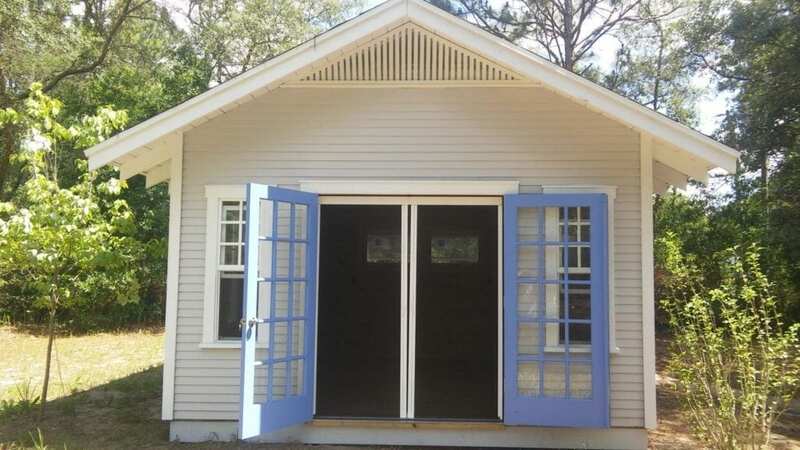 This clasic shed is accented nicely with a fun colored set of French doors. The front elevation has nice symmetry. 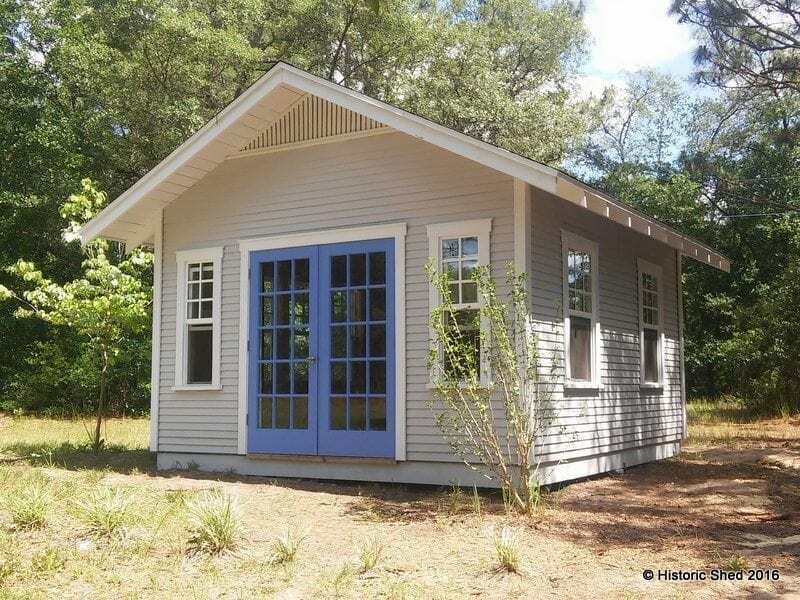 The shed has a nice bank of three windows on the left side. 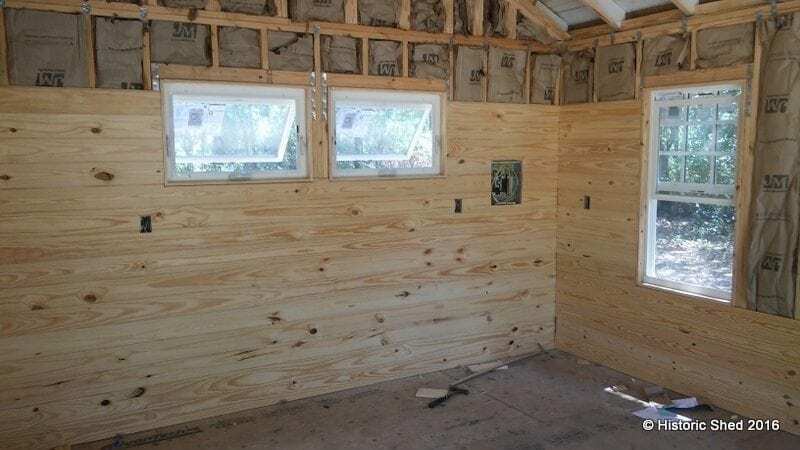 The rear of the shed has two operable transom windows, allowing light, but also wall space inside. Retractable screen doors were installed behind the French doors to give protection from bugs but not taking up interior floor space. 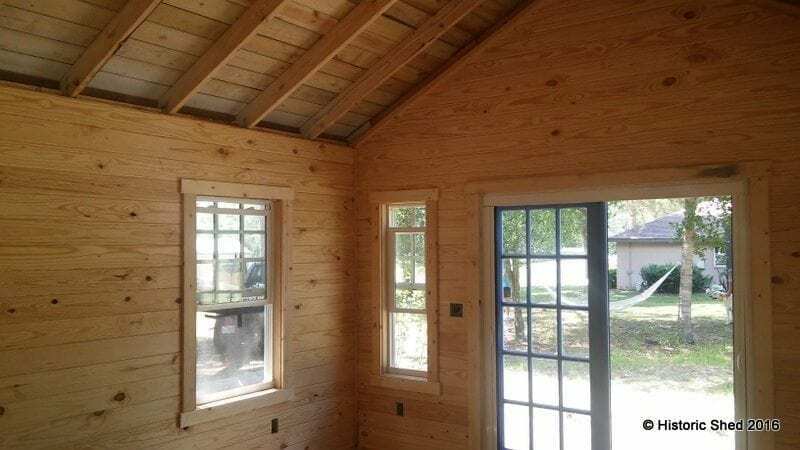 The interior walls were insulated and tongue and groove pine installed. 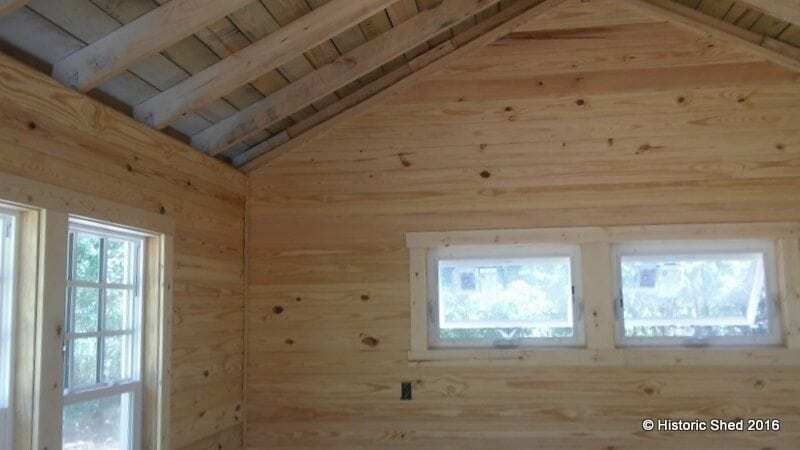 The finished interior has exposed roof framing with board sheathing and pine T & G walls with simple trim. The finished interior looking out. 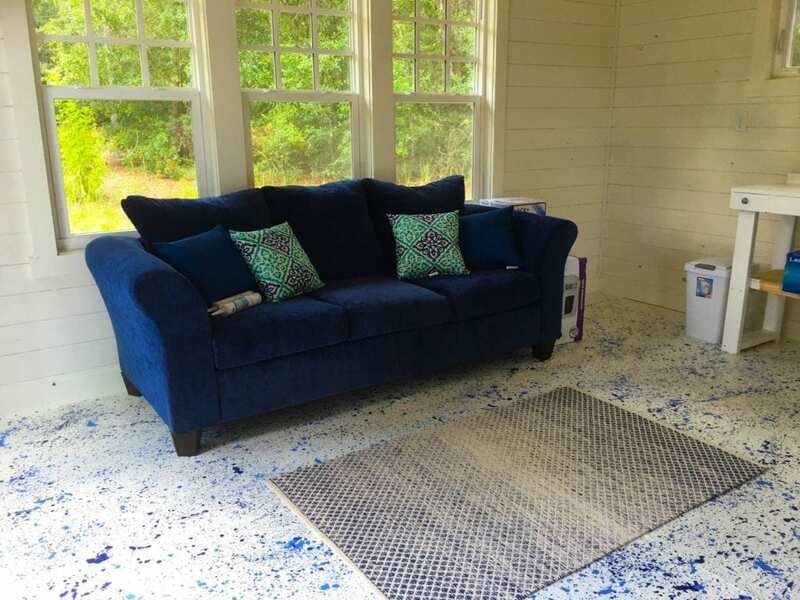 The interior after some fun creative moments – photo courtesy the Owner. 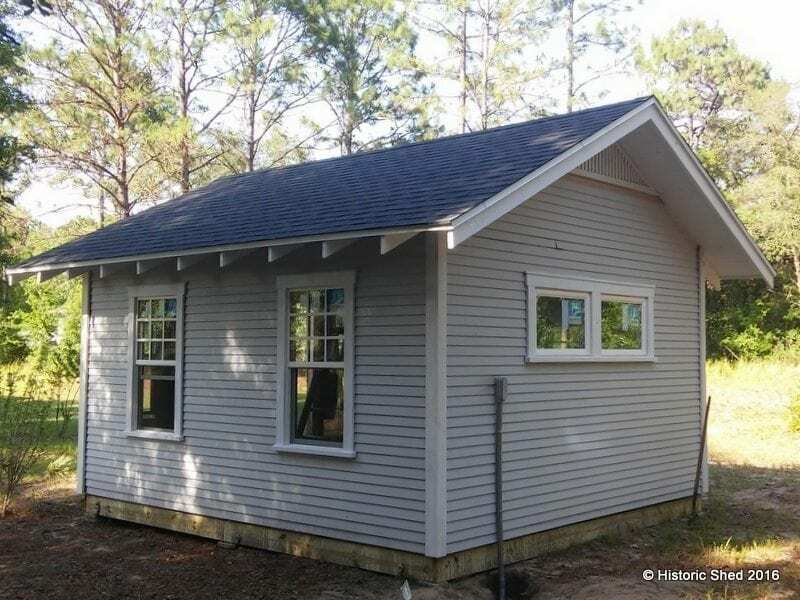 Ready to move in – photo courtesy the Owner. 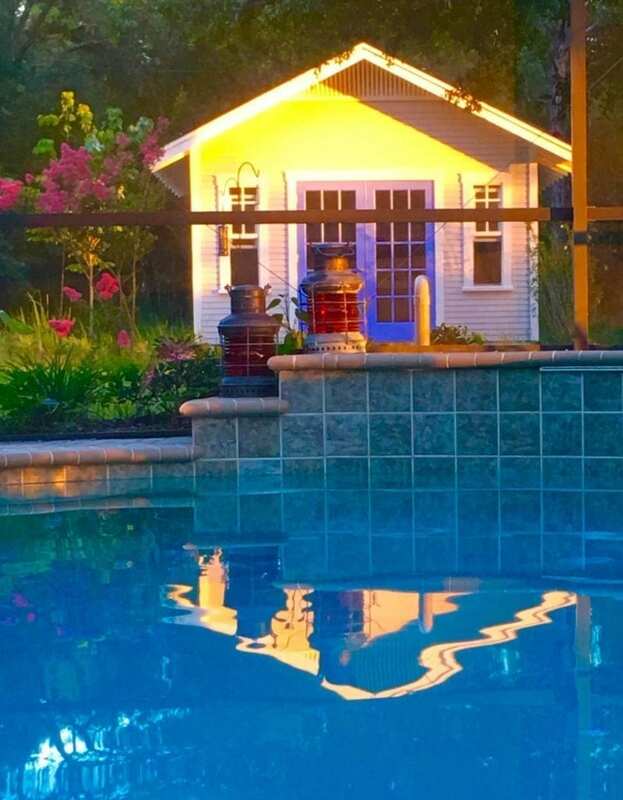 And a beautiful view of the shed in the yard, courtesy the Owner. i am interested in prehaps your designing one of these for me and it would go in sasvannah, ga. on an old slab. can you contact me? thank you.